Today’s veneers are designed to mimic the translucent appearance of natural tooth material, helping patients overcome an array of cosmetic issues. 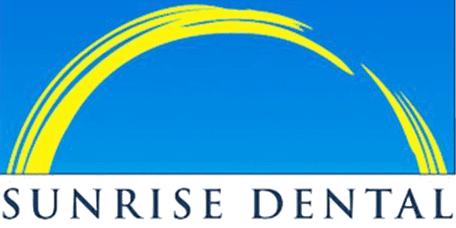 Sunrise Dental of Renton offers the highest quality dental veneers so patients in and around Renton, WA, can have beautiful, healthy-looking smiles. Teeth that look "too small"
Veneers are made of durable material that can be tinted to match the neighboring teeth so they look completely natural. They’re a great solution for treating cosmetic issues and helping patients enjoy a more beautiful smile and greater self-confidence. Veneer application takes two visits in most cases. At the first visit, a very small amount of tooth material is removed from the surface of the tooth to make room for the veneer so it doesn’t extend over or above the neighboring teeth. An impression is taken of the tooth and sent to the lab where the veneer will be made using the most advanced methods and materials, and the tint for the veneer will also be selected. A temporary veneer will be placed on the tooth to protect it from damage while the permanent veneer is being made. It usually takes about two weeks for the lab to create the veneer. At the second visit, the temporary veneer is removed and replaced with the permanent veneer, then the veneer is buffed and polished for a beautiful result. With proper care, today’s state-of-the-art veneers can last 10 to 15 years, or even longer. Veneers can be brushed and flossed just like natural teeth, and regular checkups every six months will ensure the veneer stays in good shape. You can avoid chips and other damage to the veneer (as well as your own natural teeth) by remembering not to use your teeth as tools or prying instruments, and by avoiding chewing on ice or hard candy. Veneers are made to resist stains, but you can reduce the risk of discoloration over time by rinsing or brushing after consuming foods or beverages known to cause stains.